ReviewBasics is a site which launched back in January that enables professionals (designers, photographers, bloggers, business professionals, artists etc.) to post their work on the site and have it reviewed/commented upon by people they invite to. I’ve recently been noticing a great trend on tools that are enabling computer-equipped professonals to extend beyond their usual work and I do think there is space in the market for such a tool. With ReviewBasics, the idea is that professionals can sign up and upload a file of what they’d like reviewed — be it a TIFF for a web designer or a PPT for the CEO – and invite the certain people they’d like to have a look at. As they arrive to the site and look at the specified file or project, they can leave comments and feedback on the specific file. The end result is basically a better project — whatever it is — made possible with the collaboration and gathering of other peoples’ thoughts. Personally, I don’t think ReviewBasics is a bad idea at all. It’s servicing a very niche market at the moment, but that is bound to grow. 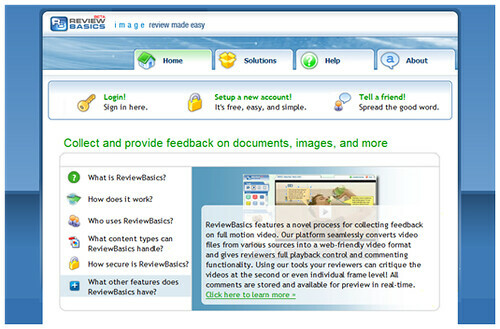 ReviewBasics in a way competes with the various project management software out there (which have the ability to gather feedback on files), and this must perhaps be its greatest weakness — it’d be hard to consider replacing specific all-round systems with just a single tool to gather feedback. 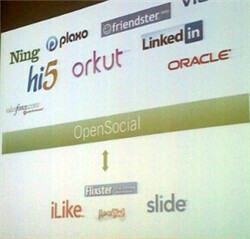 However, for those who collaborate online, (e.g. a web designer in New York and a programmer in Australia), it’s a very handy tool to make use of.